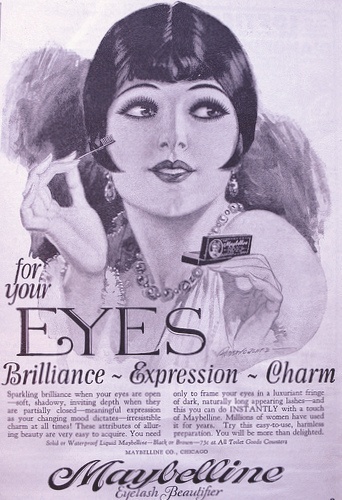 The modern mascara was born in 1913 when Maybelline creator T.L. Williams marketed his sister’s recipe for makeup in Chicago. His sister Maybel used petroleum jelly mixed with coal dust to make her eyelashes look more dramatic. Williams adapted the formula in a laboratory and produced a product sold locally called Lash-Brow-Ine, which became a local hit. In search of a catchier name, Williams renamed the product Maybelline, which is a combination of Maybel and Vaseline.